On September 11, 2001, the aerial attacks on New York and Washington occurred which would change the relations between the world’s religions into the foreseeable future. 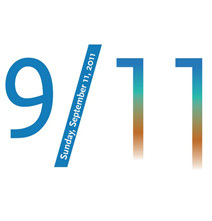 In the days following 9/11, everyone asked, “Why?”; many persons questioned religion generally and Islam in particular. Later on, there were other attacks on innocent civilians, and nations would take up armed conflict against each other. Many Muslims across the world and in Australia were subsequently targeted in physical attacks. And those who lost loved ones in the attacks and in subsequent attacks and the ensuing wars still grieve. Religions for Peace Australia, in wishing to offer the following thoughts on the events of the past decade, would ask not just to focus on the day itself but on the series of attacks since then: what has been achieved by all the blood spilled since 9/11? Have the peoples of the world’s religions jointly sought reconciliation, forgiveness and dialogue in these places of conflict? Yet many good things have resulted, both here in Australia and worldwide. One can think of the global meetings of religious leaders, the interfaith meetings between the Asian and European nations, the establishment by the UN of World Interfaith Harmony Week and the initiative of the 138 Muslim scholars of the Royal Academy of Jordan called “A Common Word” amongst many other initiatives. Here in Australia, the various faith groups engaged with each other more intensively, numerous interfaith groups have been formed at local levels, many schools have exchanged visits with Australia’s 37 Muslim schools and, most importantly, the staging in Melbourne during 2009 of the world’s largest interfaith gathering with 6,500 participants, the Parliament of the World’s Religions, showcased Australia as a relatively harmonious interfaith society. But this has not happened automatically. Australia has witnessed a surge of interfaith community dialogue and multicultural initiatives since that time, and has built a framework of strong community bonds, in public forums, academic activity and community relations, much of which is the fruit of human excellence in the multicultural and multifaith foundations which exist in Australia today. These foundations actively seek understanding, cooperation and harmony among the diverse elements of cultural and religious lives. Recently, the PEW Research Centre’s Forum on Religion and Public Life published a report on the increase in restrictions on religions in many countries. The study examined the situation in 198 countries and rated them according to their performance on 33 measures. Religions for Peace Australia is actively committed to furthering local and global relations in the fields of multifaith and multicultural endeavour which promote this process of peace-seeking. All human beings seek peace from the travails of the world. May the fruits of our Australian multicultural and interfaith activity continue to bind the social fabric of our nation into one, united body, ever upholding the “fair go” and ensuring that all in our nation, the immigrants, the indigenous peoples and those of all faiths continue to work towards becoming and remaining One Nation of Peace.